A pre-school in Surfleet was burgled and the staff left devastated after callous criminals broke in and stole educational goods worth £1,000. 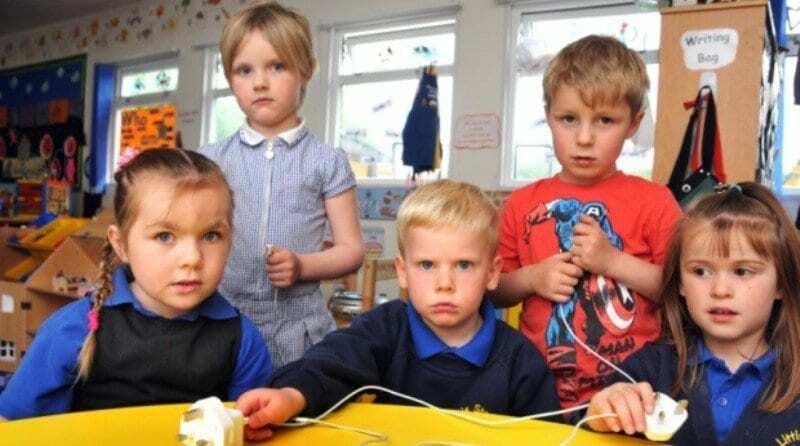 Little Stars Pre-School, which had been open for less than 2 years, suffered the loss after a gang forced open a window and stole a laptop, two iPads and cash set aside for an animal workshop. Owner and manager, Bev Gromett, said: “We’re looking at a £1,000 worth of things that were taken, including the money we were collecting for an upcoming visit by Zoolab. “I was heartbroken when I arrived on Monday morning last week and found that the burglars had entered through a window and taken our children’s resources. “The day after it happened, we couldn’t get into our mobile classroom but the school was very accommodating towards us by putting us up for the day in one of the classrooms. “We had to get all the doors fixed because the burglars forced open the cupboards where we keep our cleaning equipment which are padlocked because of the children. “They had to be repaired last Monday so that we could reopen the pre-school on the very next day. Little Stars Pre-School is based in a mobile classroom on the grounds of Surfleet Primary School and, since opening, has received both an Early Years Healthy Childcare Award and a ‘good’ rating from Ofsted. Ms Gromett said: “We’ve been trying to get things sorted out since the break-in and the parents have all said ‘if there’s anything we can do to help you after the break-in, let us know’. Police believe the burglary happened overnight between Sunday, May 22 and Monday, May 23. Anyone with information relating to the incident should call 101, quoting case 69 of May 23.